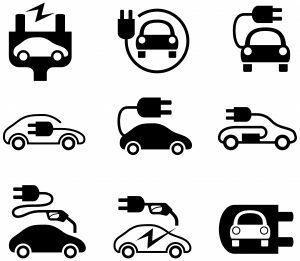 From 1 September, employees can be reimbursed up to 4p per mile travelled on businesses in a fully electric company car without any income tax or Class 1 National Insurance to pay. This payment is made under the Advisory Electricity Rate and works in a similar way to the current and ongoing Advisory Fuel Rates. HMRC recently made the decision which aligns itself with the government’s green agenda towards eco-friendly transport. Currently, employees are able to claim for business miles made in company diesel, petrol or hybrid cars using set rates which can change every 3 months. It is possible to reimburse at a higher rate than the guideline 4% Advisory Electricity Rate but the employer will have to demonstrate that the electricity cost per mile is higher. If this can’t be demonstrated, the excess above 4p per mile is treated as taxable profit & earnings and subject to Class 1 NI payments by the employer. The next Advisory Fuel Rates are due to be published soon for diesel, petrol and hybrid cars and will be relevant from 1 September. If you have any concerns around the new AER system and how it will affect your business, please get in touch with [email protected] or call 01527 558539. You can read about our full range of services on our website or call 01527 558539 to discuss how we can help your business. HMRC website contains further guidance on Advisory Electric Rate application.